Weber, P. & Rothe, H. (2016). Social Networking Services in E-Learning. 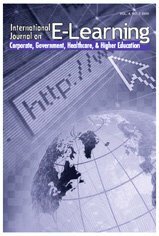 International Journal on E-Learning, 15 (2), 259-279. Waynesville, NC USA: Association for the Advancement of Computing in Education (AACE). Retrieved April 23, 2019 from https://www.learntechlib.org/primary/p/42111/.